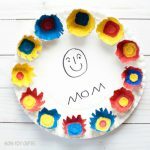 Celebrate mom with this easy paper plate Mother’s Day craft. 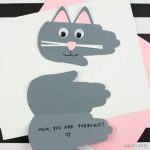 It is a fun project that combines pom pom painting with contact paper stencil. Even the youngest of crafters will enjoy working on this one. 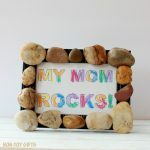 Step 1: Use a pencil to draw a heart and the word MOM on contact paper. 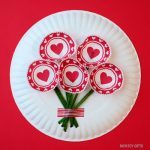 Use a craft knife to cut out these two stencils and stick them to the middle of the paper plate. Step 2: Squeeze paint onto the paper plate. We used 3 colors: pink, red and purple. 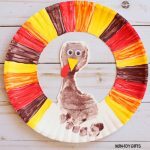 Step 3: Spread the paint over the paper plate with a pom pom. Grab the pom pom with a clothespin to use as a handle. Step 4: Once you have covered the paper plate with paint, peel off the contact paper. Don’t wait until the paint dries, rather do it right away. It is a bit more complicated to work with wet paint but if you wait, the paint may also peel off together with the stencil . The craft knife was of great help. I used it to grab pieces of the stencil and remove them. 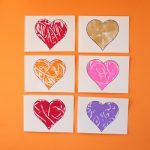 An easier variation would be to make only one heart stencil and wait until the paint has dried. 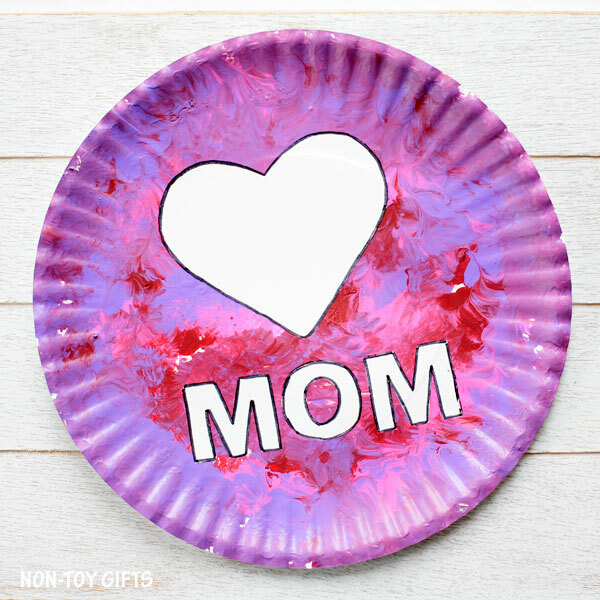 Then let your little one write the word MOM at the bottom of the paper plate. 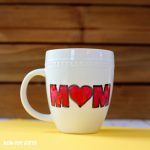 Step 5: Use a black marker to outline the heart and the word MOM.